Going to feed the ducks? We have just the thing. 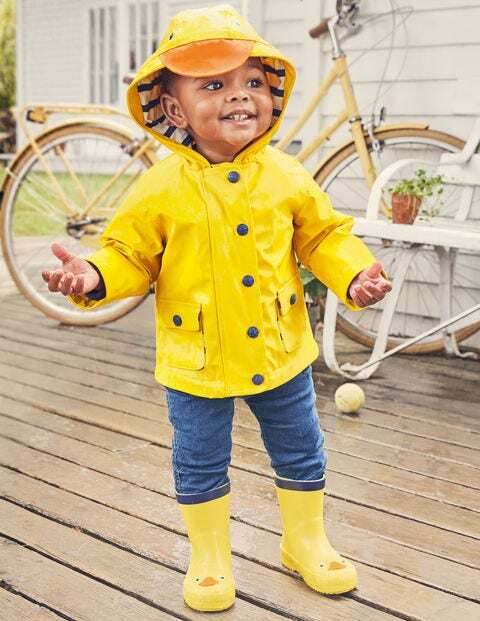 Not only is this coat duckling yellow, it has a hood with a beak and eyes, so little ones can act the part (quack-quack). The storm cuffs and striped jersey lining will keep wind out and the popper front is easy to fasten if there is a chill from the water.